You’ve completed your company’s year-end and processed your employees’ T4 slips. Now it’s time to turn your full attention towards handling your small business’s own income tax filing. Whether or not your company is profitable or owes taxes, small business owners in Canada are required to provide their business income details on their tax returns. Here are some tips on how to avoid making errors and handle the Canadian small business income tax filing process like a pro. When beginning the process, figure out which income tax return form is applicable to your small business operation. In the case where your business is considered a sole proprietorship or a partnership, your business income tax will be declared on the T2125 form within the T1 package, in addition to your personal income tax forms. For incorporated Canadian small businesses, business income tax will be reported on the T2 form. Nearly all corporations can file their corporate income tax returns online — you can check with the CRA to see if your company qualifies for corporation internet filing. Canadian corporations with an annual gross revenue of over $1 million are required to complete internet filing for their corporate income tax. As a prerequisite to completing your Canadian income taxes, give your company a boost by determining what small business expenses qualify as income tax write-offs. Possible deductions range from business service fees to costs related to home office business operations. 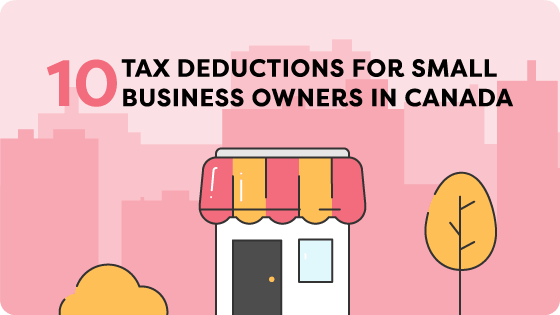 For guidance, refer to our comprehensive infographic on top tax deductions for small business owners in Canada and reap the benefits of additional tax returns. For all vehicle mileage and travel expenses conducted on behalf of your small business, it is of utmost importance to keep a log for tracking expenses. Investment Tax Credits (ITCs) may apply to your small business, thus making a great difference on your business income taxes. Credits allow corporations or individuals to apply a specified percentage to the cost of certain expenditures and property acquisitions. Some examples of Canadian tax credit programs include the Apprenticeship Tax Credit and the Research and Development (R&D) Investment Tax Credit. The federal government’s Scientific Research & Experimental Development (SR&ED) refundable tax credit initiative is worth up to 35% on eligible expenses for a Canadian business upon the CRA’s approval. Non-cash gifts for special occasions up to a total cost of $500 per year. Non-cash gifts to commemorate work anniversaries up to a total cost of $500 once every five years. Anything exceeding the allotted $500 amount, in either case, is considered to be a taxable benefit, with the excess amount included in the employee’s income. As well, items such as gift certificates or stocks that are easily converted into cash will be considered as taxable employee benefits by the CRA, as will performance-related awards and bonuses. For more on the taxation for bonuses, see our blog post on understanding the bonus tax method. Your small business can face consequences in the form of costly accumulated interest if you miss meeting your income tax filing deadlines. Small businesses within the sole proprietorship and partnership categorization will have until June 15th to submit their T1 package. Additionally, it’s crucial to note that you will need to pay any income tax you owe by April 30th or else incur penalties. Corporate income tax must be filed within six months following the end of your small business’s fiscal year. For example, if your company uses the calendar year-end of December 31st as your business’s fiscal year-end, you are set to submit your completed tax return by June 30th of the following year. Small businesses with a balance owing on its corporate income tax must pay off their balance within a certain timeframe upon the end of their fiscal year-end. For most corporations, that tax balance must be paid within a period of two months. For Canadian-controlled-private corporations, this period is three months. Implementing a consistent and accurate record-keeping system is an essential practice to adopt for your small business. Make it a resolution to keep your financial records, from your business receipts to your employees’ payment records, organized and in check all year around. On a regular basis, take the time to review your small business accounting processes and determine how you can continually refine the income tax process to make it as smooth and efficient as possible. Rise’s payroll software supports Canadian small business owners by minimizing manual data entry and ensuring total accuracy. 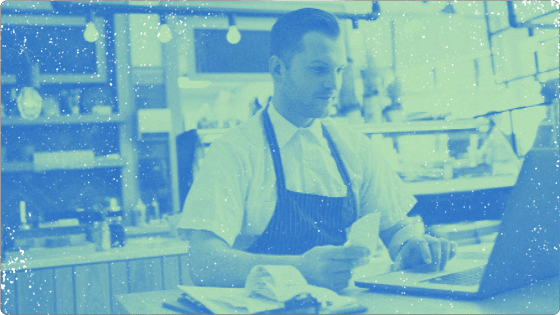 Small business payroll is always free for teams with up to 20 employees. Sign up for free payroll with Rise Lite now. Give yourself a tax break with these top tax deductions for Canadian small business owners.